Troubles indicated for Shankersinh, says Ganesha. Former Union textile minister and Gujarat Chief Minister Shankarsinh Vaghela is currently embroiled in a land scam case in Mumbai after the CBI filed an FIR last week against him and 5 other National Textile Corporation (NTC) officials for selling over 27,000 square metre of prime NTC property in Mumbai to a private company at “throwaway prices”, causing a loss of over Rs. 700 crore to the exchequer. 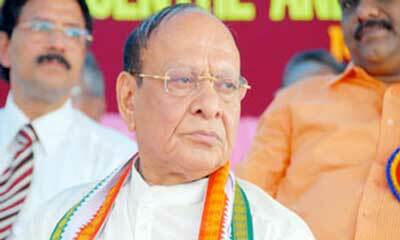 Vaghela is a Leader of Opposition in Gujarat Legislative Assembly. He started his political career with Jana Sangh, which later evolved into Janata Party. However, after Janata Party split into various factions, Vaghela became a senior leader of BJP. In 1996, he broke away from the BJP and formed the Rashtriya Janata Party. He served as the Chief Minister of Gujarat during 1996-1997. Later, his party merged with Congress. Please not that the Senior Leader's details are based on the Solar Horoscope (Surya Kundli) with the help of Birth date and place, as the Birth time is not available. Shankersinh Vaghela is born with Sun in Cancer sign with stellium of debilitated Mars and retrograde Mercury in the Solar Chart. Mercury is in its detrimental sign in the Chart. Lord of the 7th house of oppositions, Saturn is in its detrimental sign in the 10th house . Jupiter, the lord of 9th house is in 10th house. Venus , the lord of 11th house in 12th house. Rahu and Ketu are in the 3rd House and the 9th House Axis, respectively. Considering the Planetary transits, Ganesha feels that Shankersinh Vaghela will not have a bright Leadership phase, but, he will most probably be out of the current controversy of the NTC Land Scam till 14th July 2015. Till this time, though he will be surrounded by the controversy, there will not be any implication on his position as a Senior Leader of the Congress party in Gujarat. The current transit of Jupiter through the sign of Cancer in his chart(Ascendant in his Surya Kundli), gives positive aspect on the Ketu and retrograde Saturn his Chart. The transit of Jupiter through the Leo sign post 14th July 2015 will aspect Jupiter and Saturn, in his natal chart, which will also be favourable for him which may protect him politically to some extent and he may be out of this unpleasant and stressful situation. So the current and the next transit of Jupiter will be highly favourable for him. 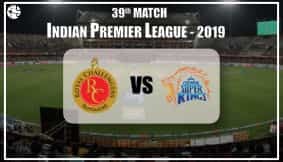 However, Transit of Saturn and Rahu-Ketu will give a push to this controversy and may make it run for a longer time and create stressful political atmosphere for the Senior Politico and will put him in a tight political situation. The transiting effect of Rahu-Ketu will prevail up to January 2016, which is not favorable. He will have to make strong efforts to rectify his image and be patient, otherwise it may put him in a lot of difficulty. The current adverse placements of the malefic planets may even make people doubt his credibility as the Senior Leader of the Congress party. But Ganesha hopes that this controversy will soon be over and that the clouds of uncertainty get cleared from Shankersinh's life. Ganesha wishes him good luck, great health and bright times ahead for him.